RPG Maker Times - Resources, scriptlets and tutorials for RPG Maker 2K3, XP and VX. Where Are All The Updates? Where Are All The Updates? That's a good question, since this blog has been sadly neglected! This does not, however, mean that RPG Maker Times has been abandoned, nor has my interest in RPG Maker diminished. Most of the updates now occur on the new RPG Maker Times & Companion blogsite. Those who follow me on Google+, Twitter and Facebook will already know what I've been up to. So, for the latest updates, why not follow me at one - or all - of them? Each one usually has unique content! 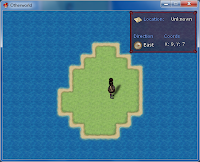 Otherworld is a paranormal-themed RMVXA project I'm working on. Development will continue on it until its completion, on my days off or when I have some spare time in between work and time off. 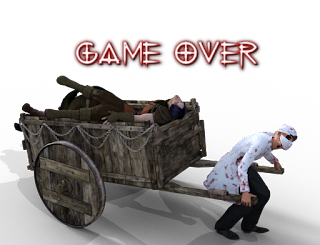 All updates, including game pages, will be on the Otherworld (Paranormality) official blogsite. 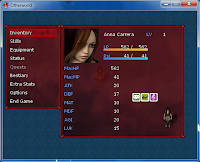 Without giving too much of the plot away yet, the game is single-player, focusing around Anna Carrera. She's an ordinary but introverted girl with nothing extraordinary about her. She leads a normal life, studies diligently, works hard, yet she doesn't really socialize much, so she has very few people she calls "friends". One fateful day, however, on her way back from school, something happened to her that changed her life and her perspective on things in general. And she embarked on a journey to the "other side" and back to change the course of history and save Mankind from a deadly fate. This supersedes my other projects, Paranormality: Portals and The Gladiator Project.